Belfast Giants forward Greg Stewart has had his disciplinary ban reduced from nine matches to six by a three-man appeals committee. 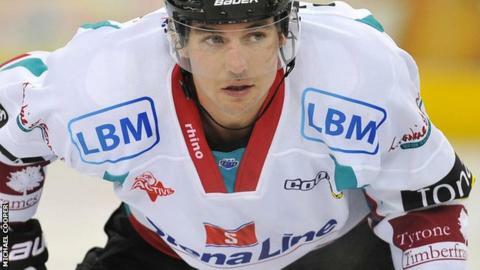 Stewart was banned following two incidents in Belfast's game at Cardiff Devils on Sunday 3 February. The forward was given a three-match ban for kneeing and a three-match ban for checking to the head. An extra three matches were added following a review by the disciplinary committee, but these have been quashed. Stewart has already served one of these matches, at Nottingham Panthers last Wednesday, and so will miss Belfast's next five matches.